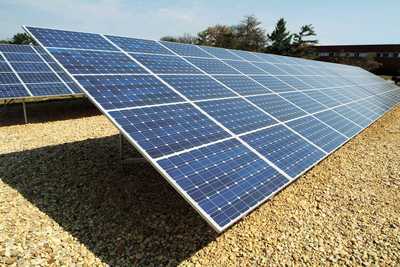 The most direct way to convert sunrays into electric energy is using the photovoltaic effect. Coefficients up to 20% make it possible nowadays to supply entire villages with electricity. Compared to a diesel power plant or a connection to the electric grid, a photovoltaic installation is often the most economic solution. 60 MW plants have already proven successful in everyday duty. In countries with high sun irradiation, photovoltaic is already competitive. Do you have any questions about photovoltaic? We gladly consult you in person!